How to improve our overall heart health. How to achieve higher levels of brain activation for overall brain balance and peak performance. What Are Kumbhaka Pranayama Breathing Exercises? The translation of the Sanskrit word “Kumbhaka”, is actually “Breath Retention”. There are two types of Kumbhaka that can be performed, “Antara” which refers to after the inhale, and “Bahya” which refers to after the exhale. It is important to note that when we are going about our normal day to day routine we don’t have to think about breathing, our body does it naturally. Life then becomes a series of in-breaths and out-breaths. When we practice Kumbhaka breath retention, it is like hitting the pause button on life. This is where greater levels of brain balance, and much deeper states of peace can enter the mind. 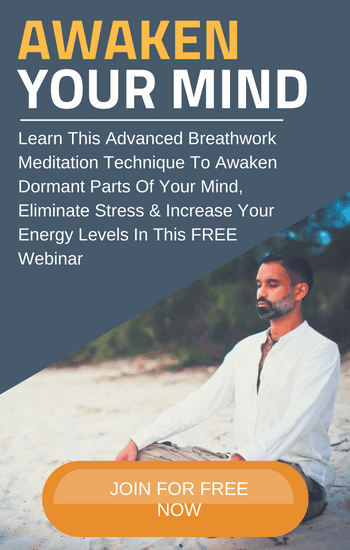 How Can Kumbhaka Pranayama Breathing Exercises Improve Your Overall Heart Health? If you have been experiencing any heart disease symptoms, or if you have had heart issues in the past, practicing these Kumbhaka Pranayama Breathing Exercises can have a profound effect on your overall heart health. One of the ways Kumbhaka Pranayama breathing exercises improve your heart health is through the releasing of stem cells within the body. These stem cells released into the bloodstream can then move throughout the body to the places where they are most needed. So if you happen to have any damaged heart tissue, the stem cells can move to that particular area that is damaged and essentially repair the damaged tissue by growing new healthy tissue. Another benefit of these Pranayama breathing exercises is that it causes vasodilation, which improves circulation and assists in the growth of new blood vessels in the heart. This then produces more capillaries between your veins and arteries. All this adds to the strength of your heart and improves your heart’s ability to pump blood and bring about a much greater level of overall heart health. The brain uses a rather high level of oxygen compared to the other organs in the body. This is why good oxygen and carbon dioxide exchange in the body is so important for the brain’s ability to function properly. When practicing these Kumbhaka Pranayama breathing exercises we have greatly improved blood flow throughout the body, especially in the brain. This allows for a much more efficient oxygen exchange to occur within the brain. Through providing this optimal exchange of oxygen we can then bring about more harmony and brain balance. Which then has the potential to activate more of the dormant parts of the brain, while improving cognitive function and overall memory support. 1.) Do this in the morning on an empty stomach. 2.) Sit or lie down in a comfortable position. Place the pulse oximeter on your finger tip if you are using one. 3.) Inhale fully through both nostrils filling up your lungs completely with oxygen. You can get more oxygen into your lungs by imagining your nostrils are in your back as your lungs are actually located in your back. Imaging breathing into your back and expand your chest fully, including your abdomen that should rise first. 4.) Then as you get to the top of your inhalation, just simply let go and exhale with no force letting the natural weight of gravity let the air out. As you get to the bottom of your exhalation, breathe in fully again, so you create a continuous connected rhythmical breathing pattern. Imagine your lungs are like bellows, breathing in more oxygen to make the fire burn brighter. Do 20-30 repetitions until you feel tingly or light headed. You will see your SpO2 rise up to 99 or even 100% signaling you are fully saturated with oxygen. 5.) After the final exhalation, hold your breath with absolutely no air in your lungs for as long as you possibly can. By making a hissing sound you can completely remove all the air from your lungs. It may feel a bit uncomfortable at first, but you will get used to it as you practice. 6.) At around 1-1:30 minutes of holding your breath you will notice your blood saturation begins to drop fast. Go gradually and slowly at first till you are able to comfortable drop your saturation below 90%. This is usually enough to trigger the positive stress response in the body. Around 80% is when the magic starts happening with your stem cells. The more advanced technique I call SOMA is a ritual that will get your saturation down even lower to 50% and below. 7.) When you can no longer hold your breath, take a quick inhalation, then quickly exhale again and repeat, by making a hissing sound to remove all the air from your lungs. This will further bring your oxygen levels down. You can repeat this a few times for as long as you feel comfortable. 8.) Do at least 2 rounds of the full sequence above that consists of continuous breathing followed by breath holds each morning on an empty stomach. 9.) During the breath holding phase you will go into a deeply relaxed meditative state. Use this time to visualize stem cells moving around your body and going to the areas where you want new cells to be generated or healing to occur. 10.) ADD ON: When you can no longer hold your breath, on your final inhalation, tightly squeeze the area you want to send the generated energy for healing and rejuvenation to. You can then hold your breath on the inhalation for as long as you feel comfortable. Through the practice of this Kumbhaka Pranayama breathing exercise we can now bring the head and the heart into much greater states of harmony and balance while adding more longevity to our lives. Is it alright to practice Kumbaka pranayama if the BP level is 130/90 or more? What is I’m on BP medication and still want to practice kumbaka?